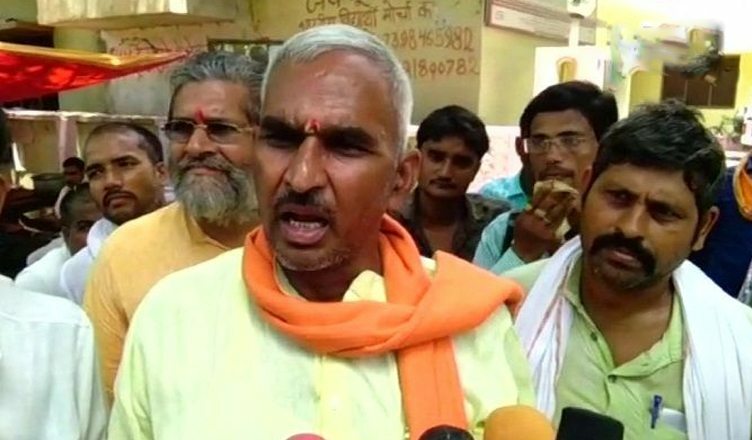 In what should be termed as a derogatory and sexist statement, Bharatiya Janata Party (BJP) MLA from Uttar Pradesh, Surendra Singh on Sunday said that Congress President Rahul Gandhi should marry dancer Sapna Chaudhary as she belongs to the same “profession” and “culture” as his mother Sonia Gandhi. He further said that the citizens of India will never allow a dancer to run this country and that her presence in any political party will have no impact. “The people of this country will never allow a dancer to run this country. The country will only be lead by a respectable and honest person like Modi. A dancer joining politics will have no impact on the political scenario of this country,” Singh said. “I am happy that instead of trusting politicians Rahul Gandhi is now trusting dancers. The best part is that the mother-in-law and daughter-in-law will belong to the same profession and culture. So, the Congress party will operate in one direction with the same character and form,” he added. “Repugnant comments. We need a special brand of Phenyl disinfectant to clean such dirty minds. When a ruling party MLA has the audacity to speak such garbage, you know it has been sanctioned at the top. Nowadays Indian political discourse has become crass, misogynistic & personal,” tweeted People’s Democratic Party (PDP) chief Mehbooba Mufti.